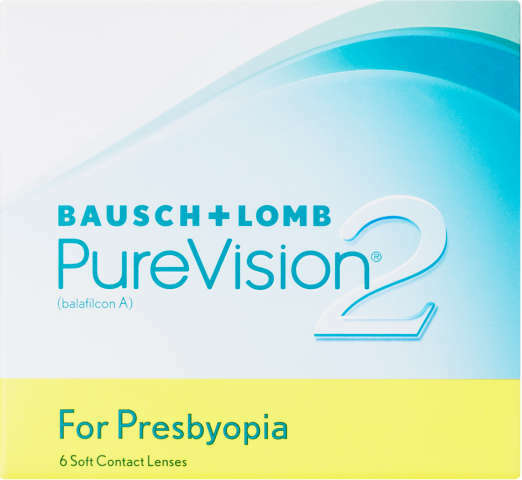 PureVision2 For Presbyopia contact lenses provide clarity where it counts - in the real world. Designed for exceptional vision – 3-Zone Progressive Design provides improved near and intermediate vision with excellent distance vision for a more natural visual experience. Monthly disposable soft contact lens. 6 contact lenses immersed in a solution of borate buffered saline.